Hemant and Nandita, Nautical Top, buy here. Hemant and Nandita, Nautical Short, buy here. Jacob & Co, Rose Gold Diamond Bezel Set, similar here. 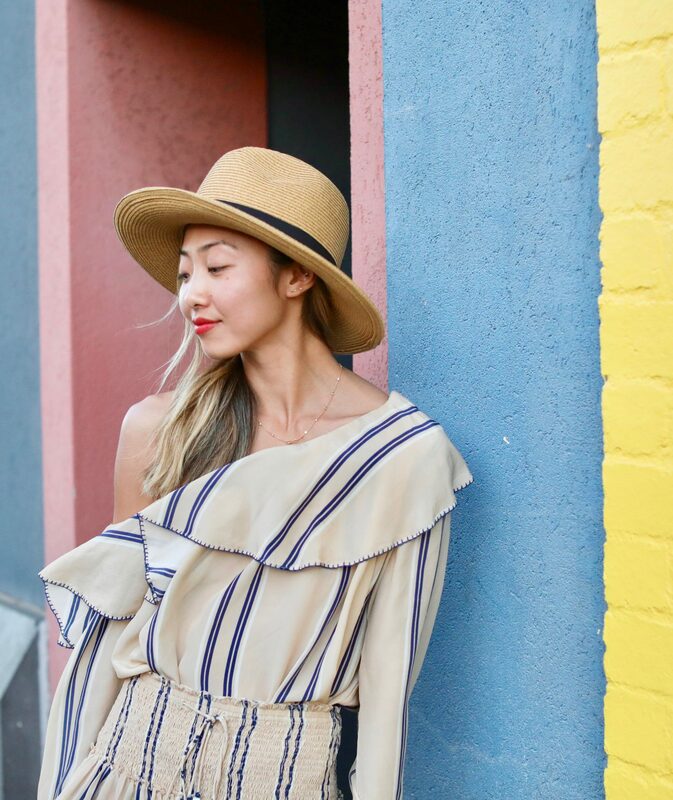 Buffalo Exchange, Straw Hat, similar here. Call It Spring, Clear Block-Heel Sandal, similar here. Photographed By: Joyce Men, (@joycemen). Location: St Kilda in Melbourne, Australia.